Find a vacation home to rent in Ullensvang Municipality from our list of vacation rental properties. Campaya has over 13 vacation homes available in Ullensvang Municipality, which give you the possibility to locate a unique accommodation in Ullensvang Municipality which completes your check-list in search for the perfect self catering vacation apartments in Ullensvang Municipality or vacation villas in Ullensvang Municipality. Spend your next self-catering adventure staying at this quaint and comfortable holiday home. The property is a cosy holiday home in beautiful surroundings. 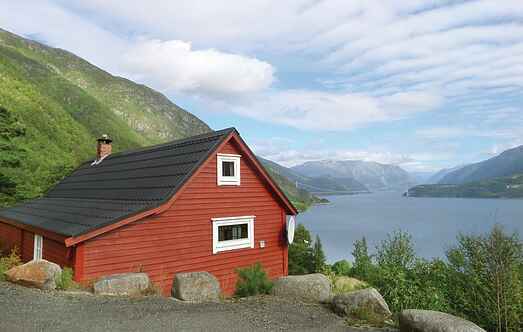 Holiday home with spectacular views towards Hardangerfjorden, surrounded by majestic mountains. Walking distance to grocery store, Hardingart art gallery with many events and café. 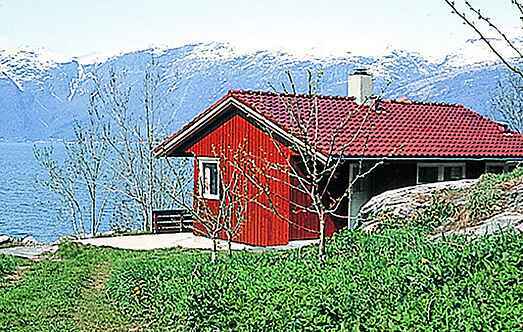 This beautiful holiday home is located on a farm with fantastic views of the Hardangerfjord. The house is located near Agatunet (open air museum). Utne is situated on the picturesque Hardangerfjord, right in the heart of the Hardanger area. This cosy holiday home is built in traditional Norwegian style with a grass roof. Holiday home situated in an orchard, with a panoramic view of the beautiful Hardanger scenery. Welcome to this holiday home with fantastic views of the Hardangerfjord is located amid beautiful natural surroundings. Amongst a scenery of high mountains & deep valleys you find this red vacation home. It is situated quietly with its private boat house, pier, and bakery from 1850. Very nice and well-equipped holiday home with a large and sunny terrace looking out over the Hardangerfjord. The house is 1km from Utne, at the northern end of the Folgefonn peninsula.